I love this song, I Want Summer. It has a catchy tune and lively beat; more importantly, I found that the rhythm and tempo of this song made me go faster and more enthusiastically when I listened to it while running. And at long last, the MV was released on 11 June 2015 at 10:00am, a day after JVR released the behind-the-scenes vid. 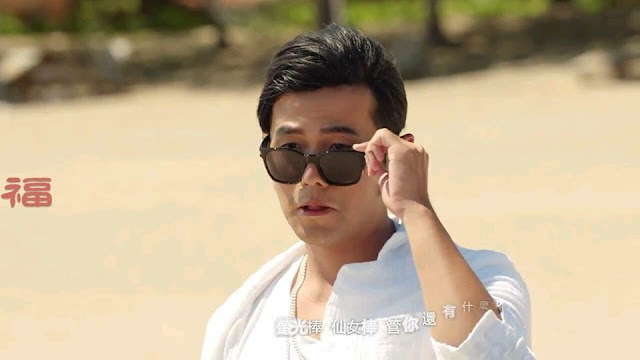 As expected, it featured the beach, bikini babes, comic relief from Du Ge and Xiao Mai and most importantly, Jay looking and acting all cool on a jetski! Oh...and Gary, who was his duet partner in this song,got in a bit of fun with the girls too. I also loved Jason Huang showing off his prowess on the portable keyboard and violin....yes, he really does play those instruments! 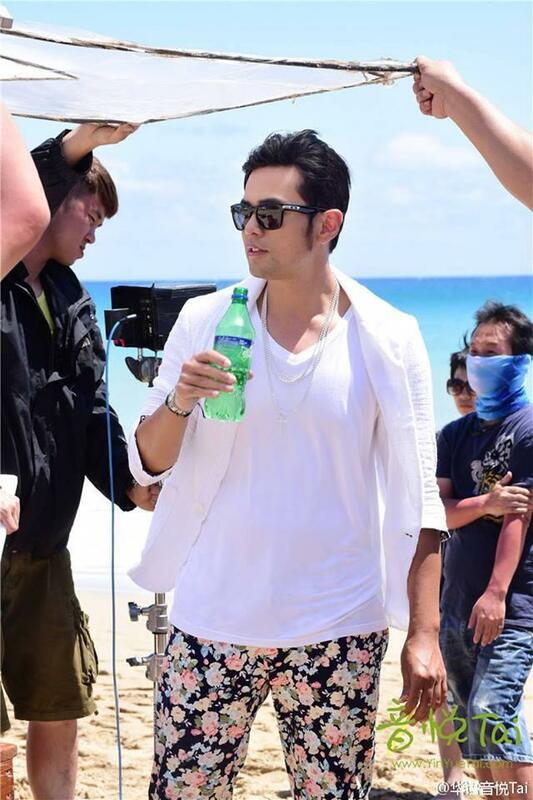 The location was Kenting beach in Taiwan and if you remember previously, this was where Jay nearly got hit by the drone they were using to film him on the jetski. Unfortunately, the drone could not be recovered, even with help from a scuba diving team who Jay hired to search for it. 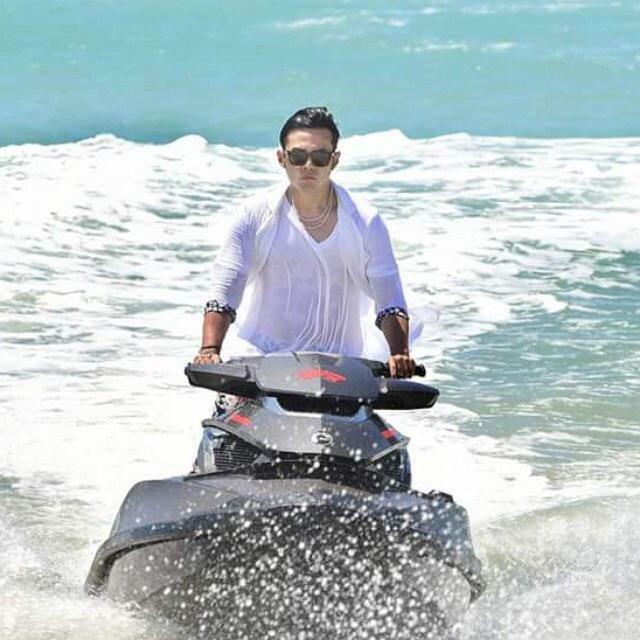 News from weibo mentioned that he had taken lessons on how to ride a jetski during his recent honeymoon in Thailand and seeing how confident he was in the MV, I'd say he certainly knows how to maximise his vacation. Another point to note that he is seemingly no longer afraid of water, as he has previously always talked about, what with his near-drowning incidents in childhood and songs like Hydrophobic Sailor. Du Ge apparently had many NG takes, making Jay rather exasperated; he was only appeased by seeing Hannah, who was at the sidelines. It is not often that we get to see His Royal Diaoness all wet, so this MV is an especial feast for the eyes. Jay having fun with the cast.